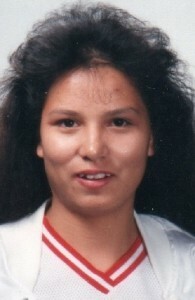 SuAnne Big Crow was a superb basketball player who scored 2,541 points while starring at Pine Ridge High School. Her legacy of promoting cultural understanding and goodwill among all people has been felt across South Dakota since her death at age 17 from a car accident on Feb. 9, 1992. Big Crow joined the Lady Thorpes varsity as an eighth-grader in 1987. She had 31 points in the region finals to lead Pine Ridge to the Class A state girls tournament. The following year Big Crow averaged 24 points per game as the Lady Thorpes again reached the state tourney. Pine Ridge was coached by Charles Zimiga and won the Class A championship in 1989. The Lady Thorpes edged Milbank 42-40 in the title game as Big Crow, who was then a sophomore, grabbed an offensive rebound in the final seconds and hit the winning shot from 10 feet. Big Crow was a 5-foot-6 guard who averaged 28 points per game as a junior. In her 1991 senior season she scored over 30 per game. Big Crow was first team all-state three years and had a high game of 67 points. Big Crow’s memory is honored during each state tournament that is held in South Dakota with the presentation of the “Spirit of Su” Award to an outstanding senior student/athlete. Criteria for selection is athletic ability, sportsmanship, leadership, character and academic ability – ideals exemplified by Big Crow.